India is implementing an innovative and large scale urban renewal program in order to cope with its immense population, continued rapid population growth, as well as the global trend of intense urbanization. This program is called Smart Cities Mission - a Government-led initiative that aims to develop 109 cities across India, into modern, livable and sustainable cities. In this blog we explain how CFS construction methods are being used to meet the world-wide need for rapid construction to meet the population boom. This need is relevant for nations and economies all around the world, both developed and developing. India, and their Smart Cities Mission, are the perfect example of a global trend; many countries world-wide are suffering the stress of their construction industries and processes not being able to keep pace with a burgeoning population. Traditional methods of construction aren’t and cannot keep pace with the rapid population growth in India. The admirable goals and objectives of Smart Cities, certainly won’t be able to be achieved if traditional construction methods are relied upon. This void between traditional construction methods and innovative new construction methods which are needed, are euphamistically referred to as a "developmental gap" by Brookings, the prestigious research institution, in their article on Smart Cities, which you can read here. As is now commonly recognized, CFS construction methods are faster, more efficient and produce less waste than traditional methods. In order to deliver on the Smart Cities construction goals, and keep pace with the ambitious timelines, CFS construction will play an integral role. 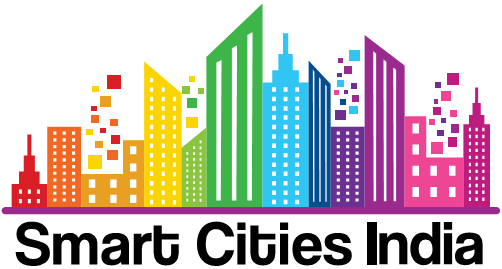 Smart Cities Mission is revolutionary for India, improving quality of life for the populations within 109 of the world’s most populous cities. The use of CFS construction methods will be a vital part of making this a reality. What is happening in India is just the beginning. The trend India is experiencing, where population growth is outrunning construction capabilities, is indicative of global trends all around the world. Whether a country is developing or in a developed state, the need for faster, simple, reliable, eco-friendly construction processes that meets demand is ever-increasing. The construction world’s eyes are on Smart Cities in India as an indicator of the future.